Chick peas, or garbanzo beans, are an affordable, protein-rich, high-fibre legume, that are also a great source of iron, B-6, and Magnesium. That said, purchasing canned chick peas can be much less cost effective than making your own at home from dried ones purchased in bulk. 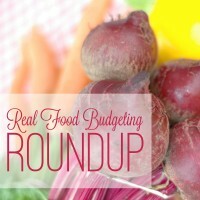 Don’t miss our recipe for tasty sun-dried tomato hummus! First, if you’re wondering why it’s a good idea to soak legumes before eating them, there’s some great info here and here. 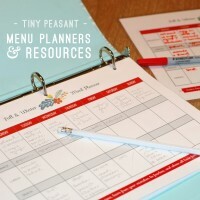 Both of these posts also outline more info on how to properly soak legumes. 1. Rinse your dried chick peas. Remove any broken pieces, off-looking pieces, stones, etc. 2. 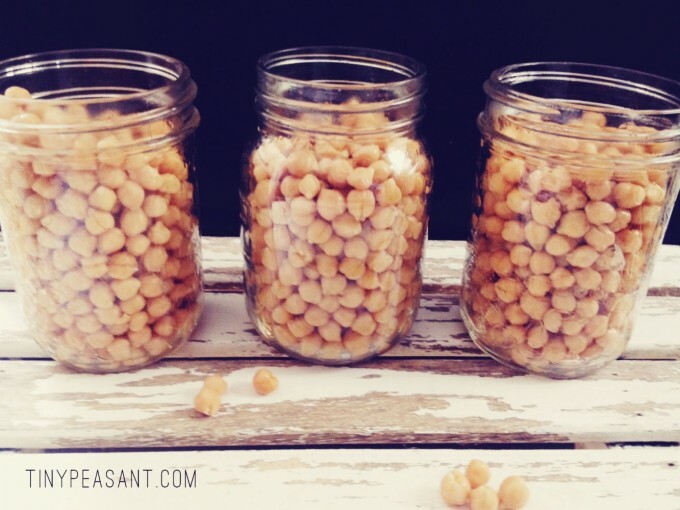 Place the rinsed chick peas in a bowl or glass tupperware container and cover with warm water to double the height of the chick peas. 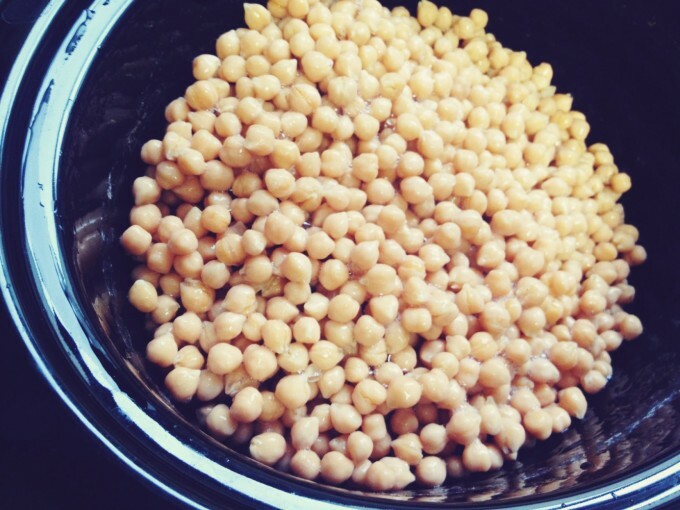 Add 1 tablespoon of lemon juice or apple cider vinegar per cup of chick peas. Set on counter overnight or for 12-24 hours, or up to 36. *Kelly, from the Nourishing Home, skips the acid medium (lemon juice or apple cider vinegar) as it can impact the flavour and texture of the legume. Try it both ways, and see what you like best! 3. If you are not soaking overnight, rinse and add more water to the chick peas every few hours, or at least once part way through the soaking process. 4. 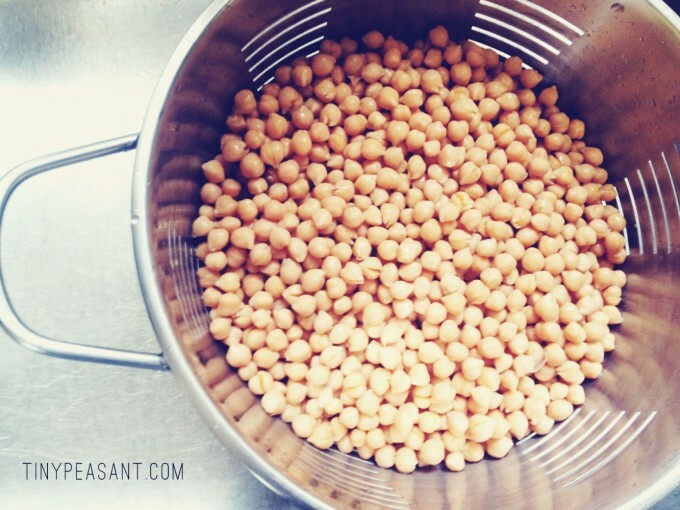 Following the soak, strain and rinse the chick peas before cooking. 1. Place in your crockpot and cover with 2-4″ of water. Set on low, and cook for roughly 8 hours, or until tender. 2. Strain and rinse the chickpeas. Reserve whatever amount might be required for a recipe that will be made soon, and freeze the rest. 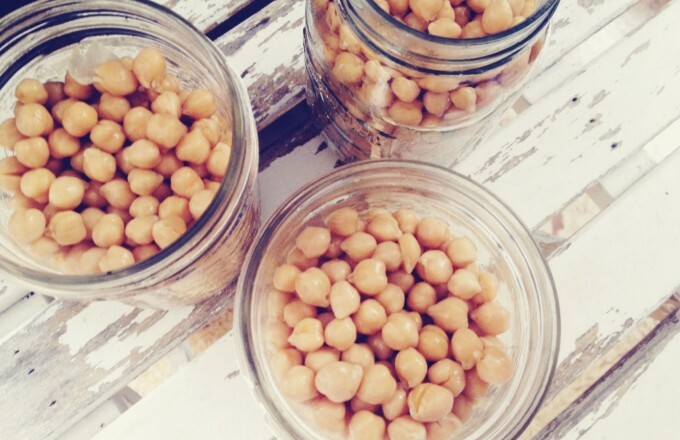 We love to freeze cooked chick peas in 500ml canning jars, particularly because our favourite hummus recipe calls for 2 cups of chick peas! It’s also a great amount to add to a soup or stew. Just place cooked, rinsed beans into glass canning jars, leaving some space at the top of the jar, seal, and freeze. This post was shared as a part of Natural Living Monday, Thank Goodness It’s Monday, Fat Tuesday, and Simple Lives Thursday, Unprocessed Fridays, Fight Back Fridays, and Simply Natural Saturdays. So true, Christine! Canned chick peas cost a pretty penny. I love how we can make a crock pot of chick peas and end up with four or five jars of cooked chick peas. Each jar is enough for us to make one batch of hummus – so if we made it once a week, that would last us at least a month! I’m excited to go explore your blog!